As project leader/manager, Jonkman is right at home in various areas such as supervising a project and its team, finances (budget control and fundraising) and marketing/communications. She has also acquired experience in various areas such as the cultural, political, business and creative environments. 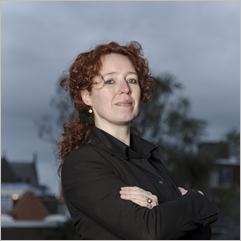 She worked as a journalist for five years at a regional broadcasting company (Omrop Friesland) and served as a project leader for such events as the Fries Straatfestival and, until present, the Slachtemarathon. Immie is a member of the executive board for the Koninklijke Vereniging De Friesche Elf Steden, which organises the famous eleven-city ice skating race, and the JeugdCultuurFonds Friesland.